Beautiful waterfront lot located along Black creek. 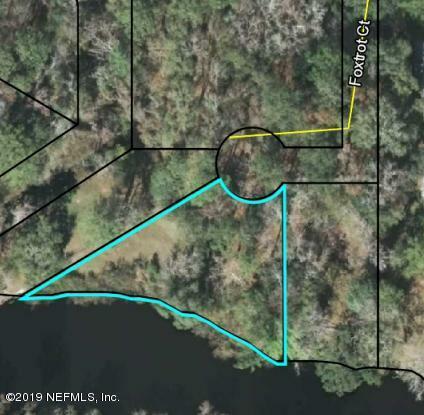 This pie shaped lot has over 190 feet of waterfront and is undeveloped. The address of Starling Ct is the lower part of Foxtrot Ct. Buyer to verify usability of property for purpose. Property is in a flood zone. This home has been on the market since Feb 07,2019. Courtesy of KELLER WILLIAMS REALTY ATLANTIC PARTNERS SOUTHSIDE.